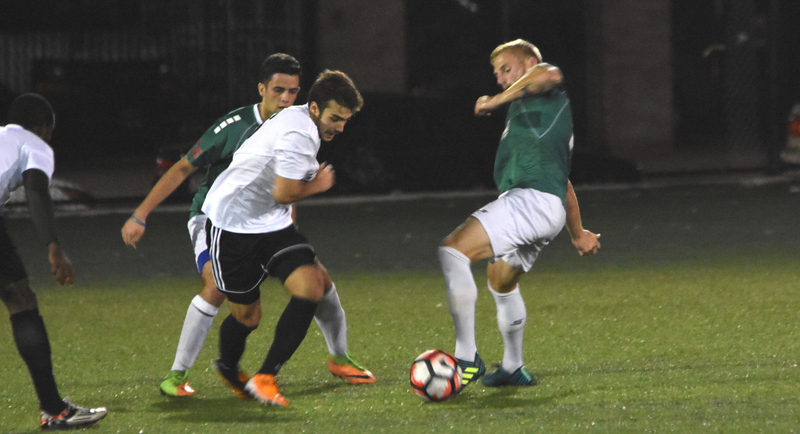 NY Shamrock SC will enjoy another week on top of the table after triumphing over Central Park Rangers 5-2 home at St. Michael’s Playground on Saturday night. Central Park opened the scoring half an hour into the game as James Greco controlled a rebound from Matt Mbamelu’s shot before cutting on his left to steer a low-shot past Shamrocks keeper Giafranco Barone. The home team drew itself leveled nine minutes later as Kurt Cameron slotted the ball to the right corner of the net after a brilliant dummy from James Whyte off a CPR giveaway in the back. Shamrocks took the lead just a minute after the restart through Cameron’s brace. The former Seton Hall University player trapped Whyte’s pass on a breakaway before taking a couple of touches in the box to set himself up for a shot that kissed the bottom right corner of the net. Ethan Evans saved the Rocks from losing their lead 11 minutes inside the second half, clearing Greco's shot off the line. Kevin Grogan's men took a 3-1 lead in the 67th minute in similar fashion with their last goal as Whyte spotted Cameron again in the box with a neat pass. The Queens-based club extended their lead again in the 81st minute when Kwesi Mills-Odoi hit a marvelous through pass from midfield to James Zaidan who rolled the ball in the net past CPR’s onrushing keeper. Substitute Stephanos Hondrakis pulled one back for the Rangers in the 85th minute, hitting the ball to the near right post amid a scramble in the box. The Rocks re-established their three goal lead three minutes later when Calvin Moyes struck the ball from the box beyond the opposing keeper from Joe Zorbo’s low-cross. 1. No goal for Whyte? That’s a first: Rocks new signing James Whyte's unreal scoring streak collapsed. The forward scored 10 goals in his first six games for Shamrocks before going goalless against the Rangers. However Whyte provided two assists. 2.Cameron’s first hat trick for the Rocks: Shamrocks striker Kurt Cameron scored a hat trick in his first game netting for the Irish team. 3. They’re Rangers indeed: Central Park Rangers came to St. Michael’s Playground ready for combat as they tallied 19 fouls and three yellow cards against Kevin Grogan's men. The Rangers scored the opener and were perhaps the most physical team the Rocks played this season, collecting 19 fouls and three yellows however Shamrocks conquered them 5-2. 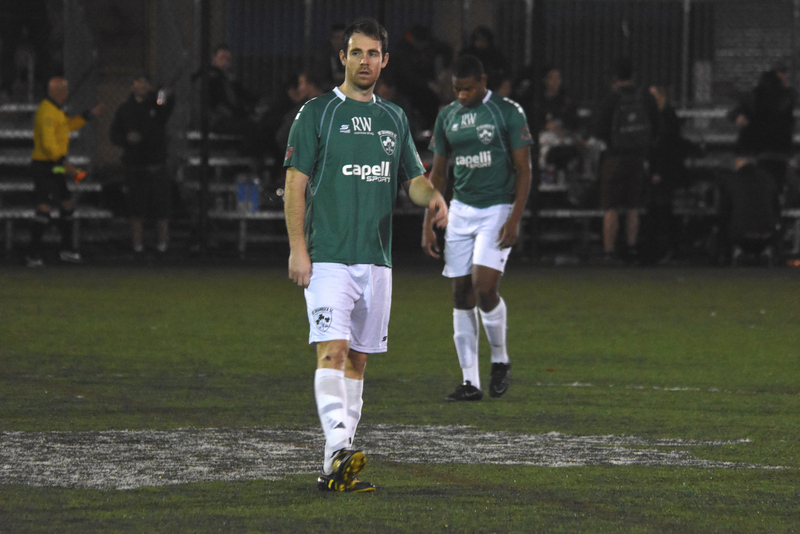 Rocks forward Kurt Cameron reminisced on the game and was delighted that his team overcame their opponents. “It was a tough test but I’m glad we passed it,” he said.